Once again, for the third year running I was had the fortune of being invited as a guest fly tier to the Salon de la Peche. For this I wish to thank the organisation in the person of Chantal Parachini! This is one of the most interesting fly fishing shows in Europe and now at the new venue (Parc Floral de Paris), the atmosphere is really fantastic . Très convivial - as the French would say. Italy was represented by Federico Renzi, Terenzio Zandri and myself. 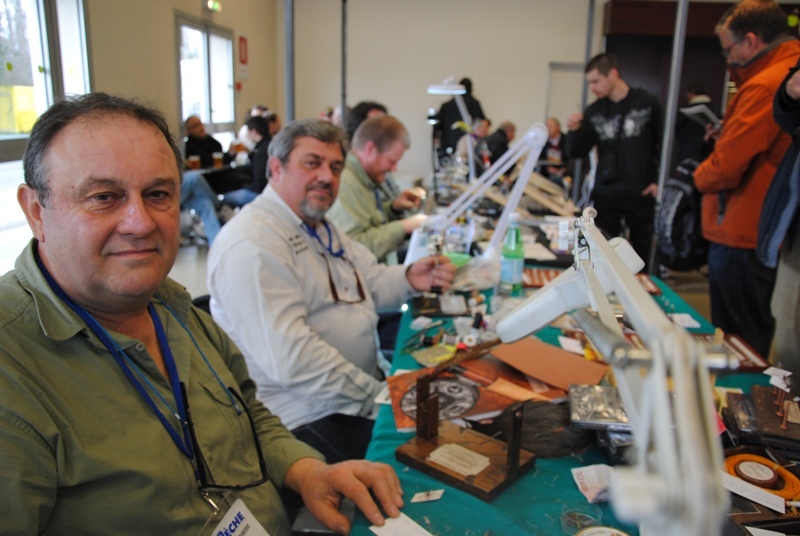 AMong the others were Bruno Pimpanini fron France, Espen Eileirtsen from Norway, Ed Berg from the US with his wonderful flies rigourously with three tails, Igor Stancev and many others. The ones I have not mentioned will forgive me!! The quality of the exhibitors was as always of a very high quality. JMC. Moulin des Gemages, and the unmistakeable Marc Petitjean.